A flour milling facility was looking for options to reduce their electrical expense. When evaluating their electrical load they found PD blowers were a significant percentage of the overall load. They opted to evaluate a flour load-out system with a 75hp PD blower for their initial project. 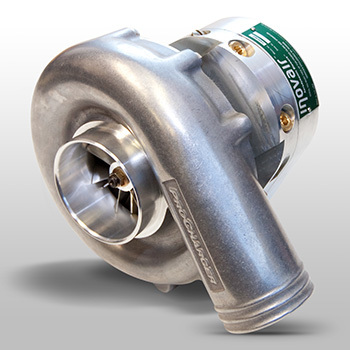 The Inovair Drop in Replacement turbo blower provided a solution to their needs. This option also allowed them to retain their investment in their existing blower stand and premium efficiency motor. Inovair worked with the customer to evaluate the system under two different scenarios to determine the maximum benefit; reducing the electrical consumption at existing capacity versus increasing the capacity to reduce the overall operating time. For the first option, the Inovair Turbo Blower was set to duplicate the operating conditions of the PD blower with an average line operating pressure of 9.5psi. This setup reduced the power consumption from 51.5KW to 39KW, for a 24% energy savings. The second option involved evaluating an increase in the operating pressure capabilities of the Inovair Turbo blower to fully utilize the existing 75hp motor at the required airflow. This change resulted in an increase in line capacity from 48,000 lbs. per hour to 60,000 lbs. per hour, for a 25% improvement in throughput. The average line operating pressure was 12.5psi with a power consumption of 51.9 KW. An additional benefit of the increased throughput was the ability to decrease the operating time for the entire load out system resulting in even more energy savings. With consideration being given to both options, the customer selected the increased throughput as the most beneficial solution. A cereal manufacturer utilizing rice flour for their extrusion process needed to increase system capacity and was looking for options. The rice flour is delivered to the plant in pressure differential rail cars, and due to increased product demand, the customer had to look at alternatives to increase the rail car unloading system’s capacity. The goal was to limit the amount of work required, and retain as many components as possible, including convey line, product receivers, and process controls. The existing PD blower’s reserve had been exhausted, and would need to be replaced for the capacity demand. After weighing the options, the customer invested in an Inovair Complete Blower System (CBS) as the preferred option to resolve their plant’s demands. The 50 HP Inovair blower was installed in place of the existing 75 HP PD blower, and now allows the plant to operate their rail car unload system reliably at 12-13 psi providing the system capacity requested without requiring further modifications to the existing unload system. On top of the energy savings and increased system capacity, the substantial dBA reduction has also eliminated noise complaints from residential neighbors. A “recycled products manufacturer” had searched worldwide for an industrial blower capable of standing up to their unique and challenging manufacturing process: forcing air heated to 350˚ F into an oven to rapidly dry the product before it could be removed from the mold. 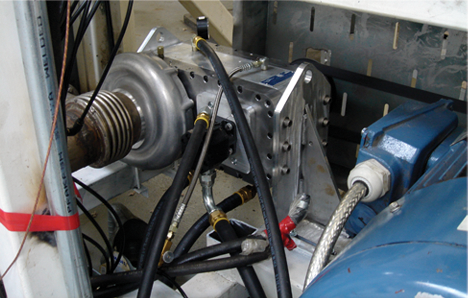 Traditional positive displacement blowers simply “melted down” under the high-heat, 24/7 duty cycles required by the equipment and process developer. In 2009, this company’s worldwide search led them to Inovair and a turbo blower technology capable of meeting their demanding needs. Utilizing the compact and durable Inovair 2200 turbo blower, this technology has proven to be more than capable of standing up to the 350˚ F inlet air temperatures. Operating at 5-7 psi and providing a constant 1,400 cfm of heated airflow, the automated manufacturing process also carries a 24/7 duty cycle for maximum productivity. Loading trucks and railcars can be a stressful operation. A loud blower only adds to the stress, making it more difficult to communicate with fellow workers and equipment operators. Loud blowers also potentially limit operational hours of a plant, especially if a plant has residential properties encroaching or citations associated with violating noise ordinances. Additionally, if the load out operation is time sensitive, it is important that a blower can reliably operate at higher pressure levels, to improve throughput and productivity. A flour mill put the Inovair Complete Blower System to work loading flour into trucks and railcars. The Inovair turbo blower replaced an existing PD blower which was located outside under a rain cover. Given this outside setting, reducing blower noise to less than 85 dBA was a major advancement for the facility – meeting current NIOSH guidelines while surpassing those from OSHA. Additionally, the Inovair turbo blower showed an immediate 20%+ energy savings (at 8-9 psi) when compared to the previous PD blower. For dilute phase pneumatic conveying blower lines running above 12 psi problems can arise with rotary PD blowers, roots blowers, as this is near the upper end of their operating range. At these pressure levels, PD blowers may have less ability than desired to achieve the necessary pressure rise to overcome the formation of plugs. Furthermore, PD blower or roots blower longevity may be compromised at levels above 12 psi and high duty cycles. Inovair turbo blowers on the other hand, with much higher pressure capabilities, are able to achieve the desired rise to overcome potential plugs at high psi levels, and remain extremely durable. Facility downtime is expensive, whether caused by a plugged line or a failing blower. A facility experiencing downtime created by shorter than expected PD blower life and recurring plugged lines, as well as seeking energy reduction opportunities, installed an Inovair Complete Blower System (CBS). 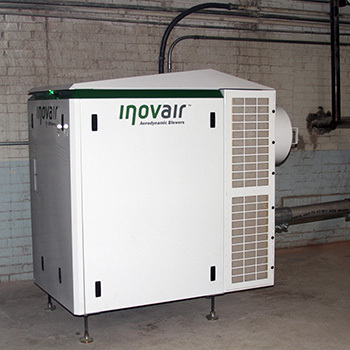 The Inovair turbo blower has not only generated energy savings approaching 30%, it has also shown the ability to generate a larger pressure rise than the PD blower or roots blower it replaced, reducing the exposure to plugs. Additionally, the noise levels from PD blowers or roots blowers running at high pressure can become unacceptable, requiring additional investment in silencers and/or noise isolation. 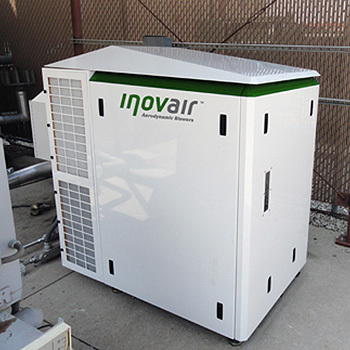 With the quiet design of the Inovair CBS, the unit was placed outside the blower room freeing up space in a very crowded environment. 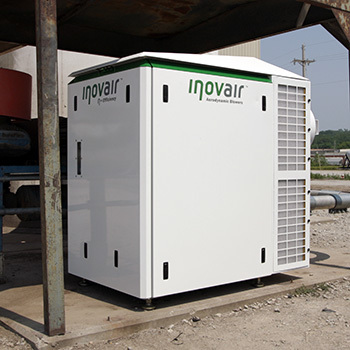 Inovair offers a line of intermittent duty turbo blowers that are designed for systems that operate less than 3-4 hours at a time and a maximum of 10-12 hours a day. These economical units are ideal for limited duty applications requiring a light weight compact air source capable of delivering 200 to 2000 ICFM at pressures from 4 to 15 psi. Areas of application for these turbo blowers include aircraft deicing, bin aeration, high pressure spraying, drying, filter backwash, bulk truck unloading and many other applications. Inovair Turbo Blowers are also a great option for delivering reliable low cost oil-free air to a wide range of global applications. 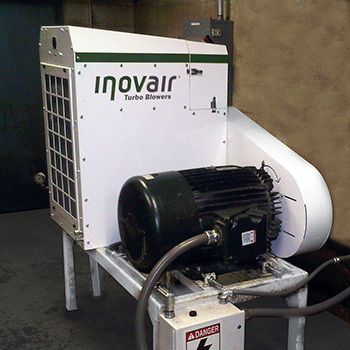 Inovair invents, engineers and manufactures the most reliable, cost effective and efficient turbo blowers. Contact us today to learn more about our industry-leading technology!